In 2009, the overall average time for 20,881 finishers was 4:41. This time makes Marine Corps Marathon among the hardest of our Top 25 Toughest marathons. 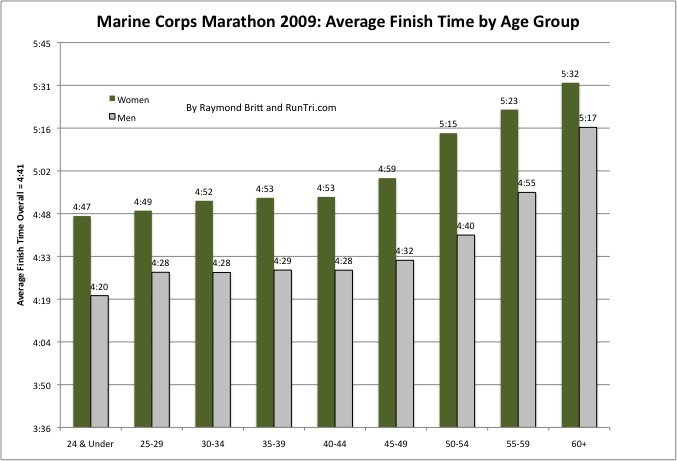 Below, our analysis of average finish time by Age Group. Also see our analysis of number of finishers by age group, and our Complete Marine Corps Marathon Coverage.